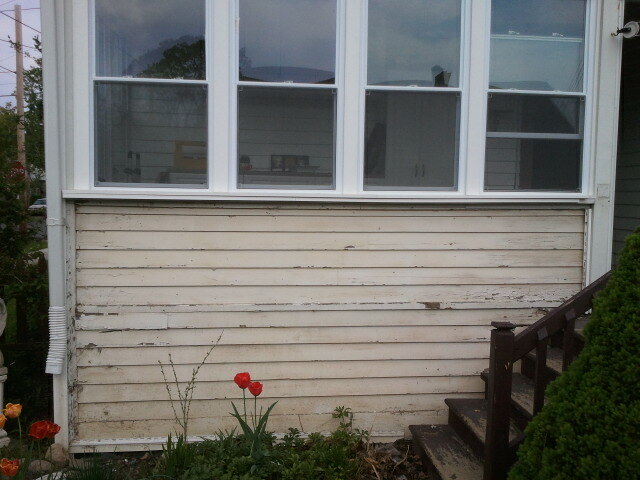 We have old, cheap, poorly applied vinyl siding on the house. I hate it. 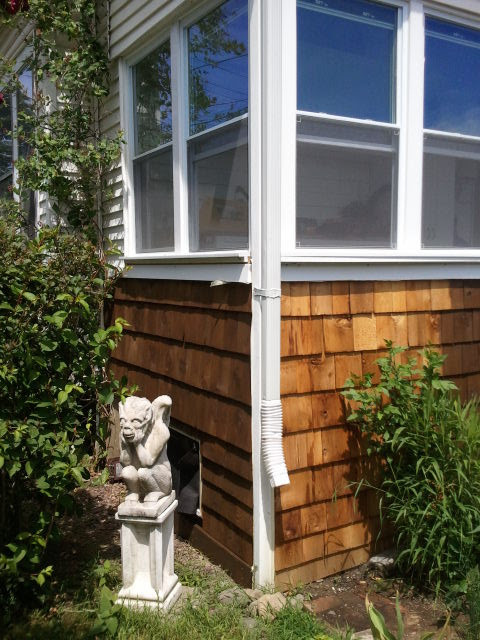 No matter what we do to the house, it only looks as good as the siding - and that's best viewed at night. 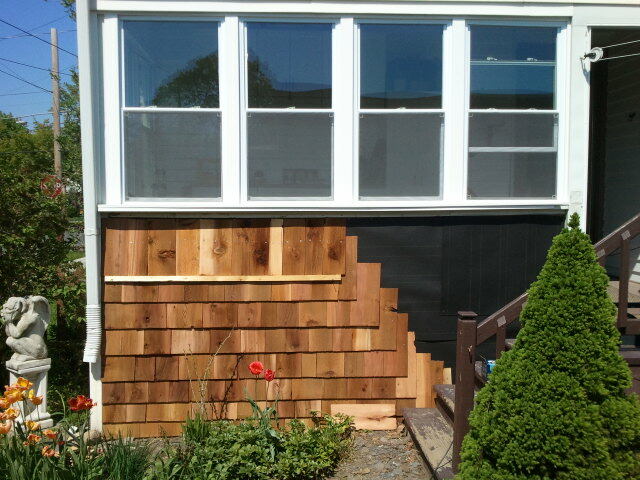 "Eventually" (god, who knows when) I want to re-side the house, better siding, maybe even a different color. 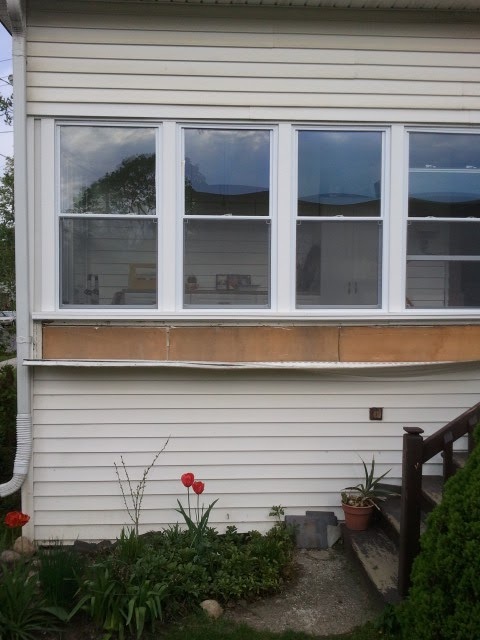 In the meantime, and after putting new windows in the porch last summer, I just wanted the back porch to look better, right now. The front porch is shingled, so I thought - why not? Besides, shingles are pretty inexpensive. Okay, I didn't exactly get a "before" picture, but at least this time I took one pretty early on in the project! 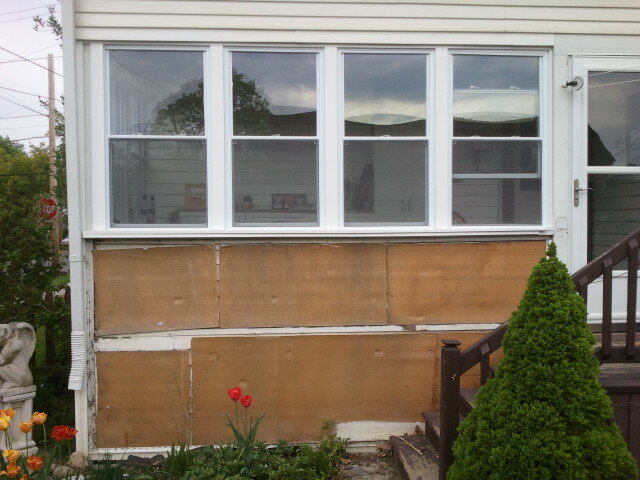 After removing the old, cheap vinyl siding, I found old, cheap, very thin insulation. Ugh, I bet the whole house is "insulated" with this stuff! It's always a scary proposition when you start digging around an old house, you just never know what's under there. Well, in this case it was clapboard. Old, broken, weak clapboard. 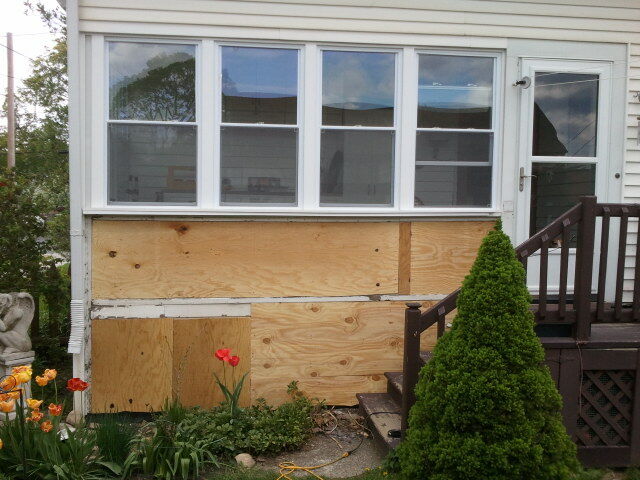 I decided not to remove the clapboard, after all - you just never know what's under there! 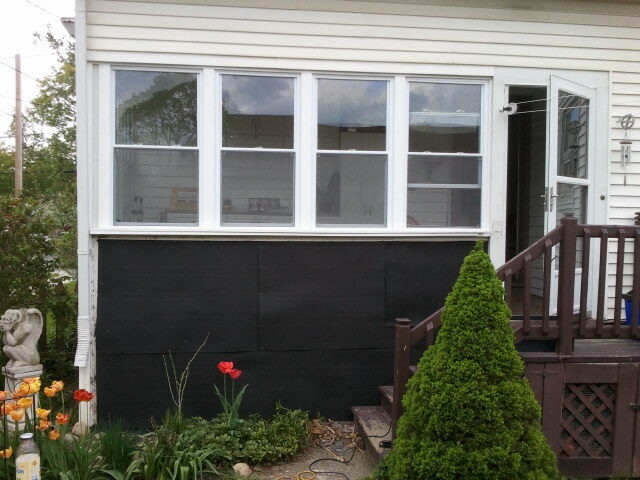 So I covered the clapboard with 1/2" plywood. See that horizontal board? 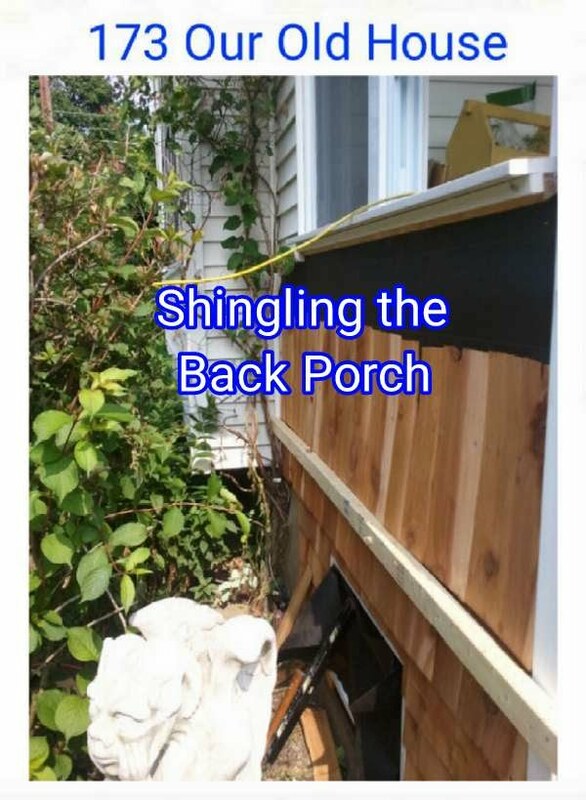 I got the idea on Youtube...Hang the board, level it and installing each course of shingles becomes quicker, easier and leveler (I know, I know). Beat the heck out of chalk lines! That's it (for now). Still have to decide on a stain color. I don't think I would like the gray "weathered" look, so - what color? I'm thinking "coffee", but I don't make all the decisions! All-in-all it was a simple and satisfying job. Next will be the side wall of the porch, and then maybe the upper half of the porch...who knows! Maybe even more of the house!